Impossible to pin down, Gus Van Sant has spent his career staying one step ahead of critics and fans by zigging when we expect him to zag. At his best, the director can cut through the chaotic morass of life and show us something beautiful. At his worst, his self-indulgent tendencies overwhelm any sense of narrative cohesion, and you’re left with the feeling of having watched a dude work through some serious issues in his life for the better part of two hours. 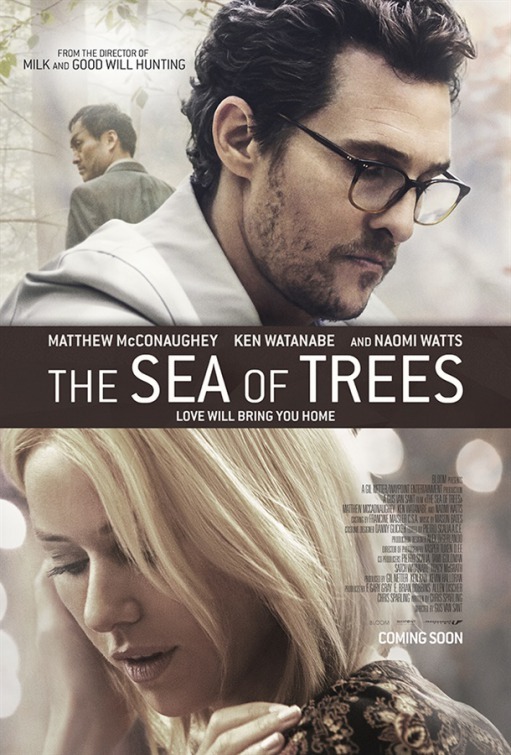 I’m sad to say that his latest film, “The Sea of Trees” was made by the latter Van Sant. 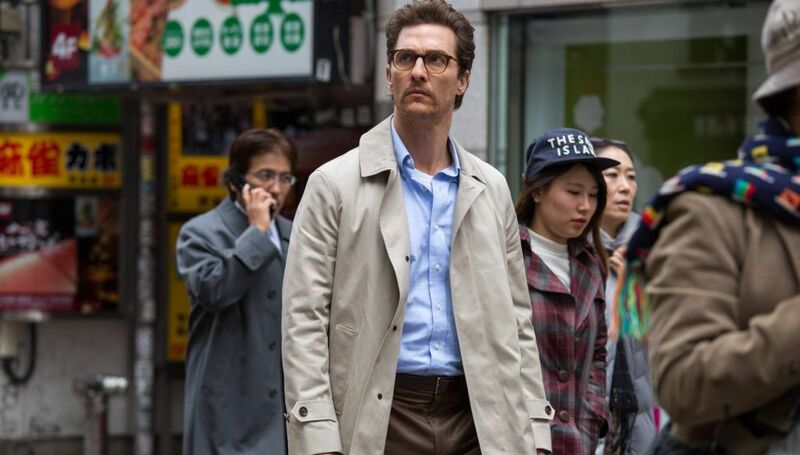 Matthew McConaughey puts on his serious face to play Arthur Brennan, an American man who walks into an airport with no luggage and purchases a one-way ticket to Tokyo. Upon landing, heads straight for the notorious Aokigahara forest at the base of Mount Fuji, where people go to commit suicide nearly every day. 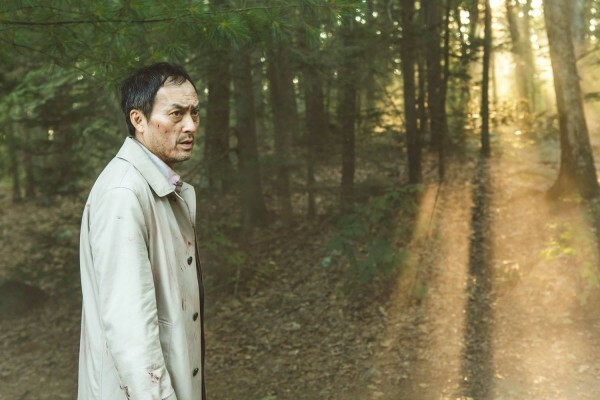 Halfway into the forest, and halfway into a bottle of pills, a bloody Japanese man (Ken Watanabe) stumbles his way into Arthur’s life, crying and searching for an exit. We jump immediately into a flashback to Arthur’s life in America with a despondent wife, Joan (Naomi Watts), who seems to resent him for working in a low paying job while she pays for their luxurious lifestyle. The film then jumps back and forth in time to show—literally and metaphorically—Arthur losing his way and finding his way again. It’s that level of obvious, and it packs the third act with revelations straight out of the first draft handbook of coincidences. 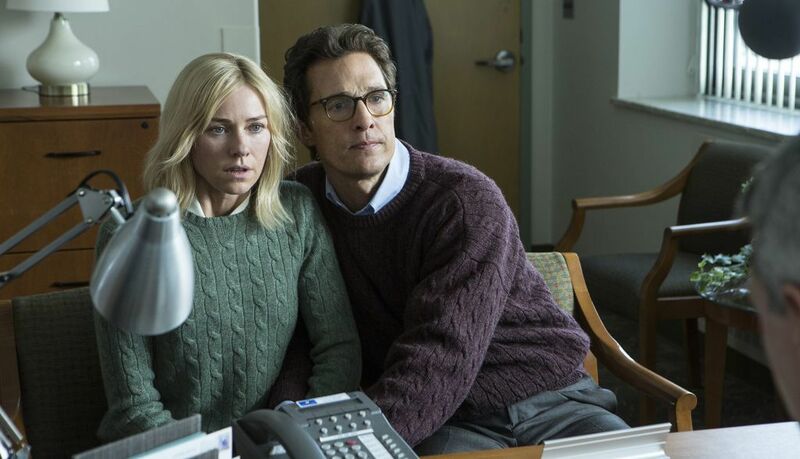 This entire endeavor seems like a career move by McConaughey to prove that he’s a serious actor now and he’s not going back to making stupid rom-coms ever again. The problem is that his performance here is positively somnambulant, falling back on the same calculated cadence he employed to much greater effect in “True Detective.” Without that same level of quality material, however, he’s left to flounder, and too often it feels like he’s just not even trying to make this subpar script from Chris Sparling (“Buried“) work in his favor. It truly doesn’t hurt his case to say that this script is imbecilic, with a number of storytelling devices being employed without a full understanding of what they mean. Every character wears his or her philosophy on life on their sleeve and are afforded little nuance. That the film is your classic “science versus faith” film only makes the painting of people in very simplistic terms that much more insulting, particularly in light of the ending being a foregone conclusion from the minute the conflict was introduced. This doesn’t feel like the work of the guy who made “Drugstore Cowboy,” “Milk,” or even “Good Will Hunting.” This feels like the work of the guy who made “Gerry,” “Last Days,” and that thoroughly unnecessary shot-for-shot “Psycho” remake. It’s self-indulgent filmmaking stripped of anything that might actually challenge an audience, but rather an exercise in endurance where the audience is put through the ringer as much as the characters. It flaunts its connection to the story of “Hansel and Gretel” often, but only wishes it were half as dense and nuanced. There’s tragedy and then there’s wallowing in it, and this starts out wallowing and only gets worse from there. Worst of all, the film has this schmaltzy whimsical score that is woefully out-of-place with the dour tone of the movie, especially in the early going. As the film wears on, and you soon realize that it’s actually treacly, preachy nonsense, the score finally catches up to the film’s tone, which is basically the famous “Footprints in the Sand” poem brought to life. 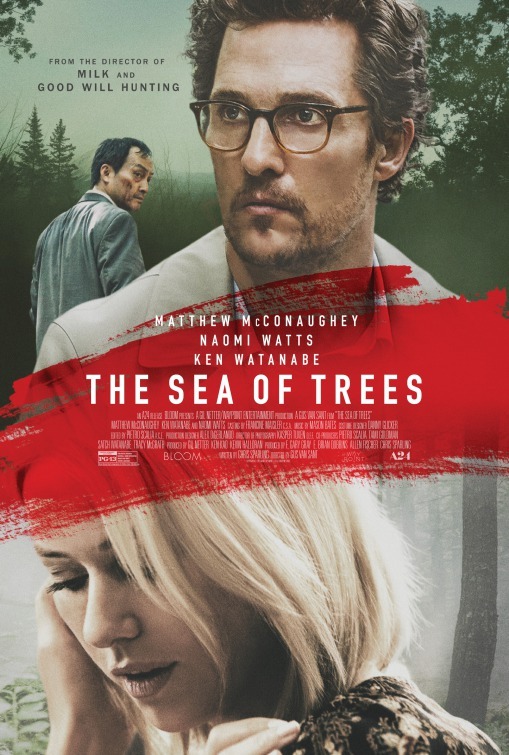 If that sounds appealing to you, by all means, go and enjoy “The Sea of Trees,” but all three of the film’s lead actors and its director have made much better, less sententious movies than this one. I would urge you to seek those out, lest you risk getting lost in this overbearing forest.